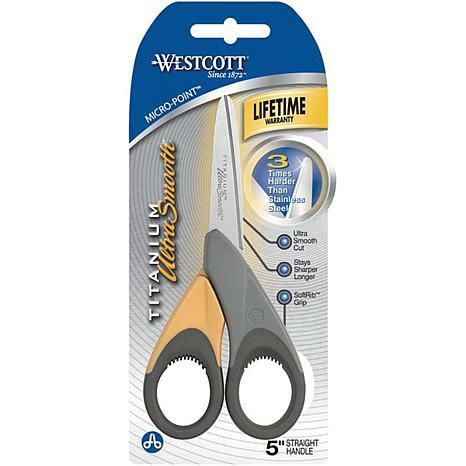 Westcott Ultra Smooth Titanium Micro-Tip Scissors - 5"
ACME-Westcott Titanium Ultra Smooth Micro-Tip Scissors. Titanium is a high performance metal that is lightweight like aluminum, stronger than steel and highly resistant to rust and corrosion. 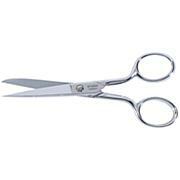 Acme uses a process that bonds titanium to a stainless steel core to produce a sharper, more durable and longer lasting cutting edge for home and office use. 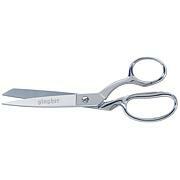 These scissors will stay sharp and smooth-cutting for years making them an exceptional value. 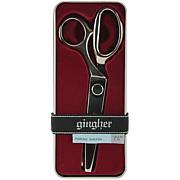 This package contains one 5in scissors with contoured soft grip finger hole and finger pads. Imported. 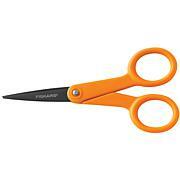 The scissors were what I needed and HSN delivered as promised.....I couldn't find these any other place but HSN. Thank you so much!!! !